Jef here has an absolutely stunning bag for us to drool over today. 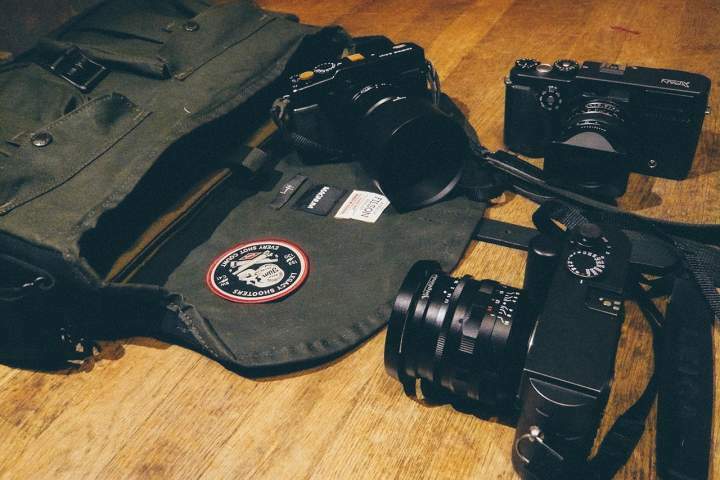 Fantastic glass, a great bag, a cool patch and easily my favourite camera ever ever, the X-Pan/TX-1. Damn I wish I still had one. Shooting slide on that beast is an experience. Hey everyone, I’ve been a photographer for 20 years, working as a professional off & on since I was 15. My Father got me started when I was 11 with the Basic photo series by Adams & Photography in Boy Scouts, I fell in love with the whole process. I’ve also worked in photography in sales & education. I’m also a gear nut who’s consulted professionally in the outdoor world. My first camera was a Mamiya 1000MX with a Yashica 50/f1.7. I was late to the digital party, & didn’t own my first digital DSLR till I was in my 20’s. I’ve gone back & forth from 35mm to digital a few times depending on where I was at the time & what kind of work I was doing. I was shooting big heavy DSLRs not long ago, but after having some rather major injuries in a car wreck, including a TBI, I had to relearn even the basics. While starting over, my style & approach changed dramatically, I was also unable to carry the heavy DSLRs. I found myself shooting more with a rangefinder then a SLR & using faster lenses then I had used in the past. My current rig is a rotation of two digital bodies & two film bodies, using all prime lenses. I’ve gone from a Nikon shooter with a few Olympus & Leica’s in the mix, to Fuji & Leica. 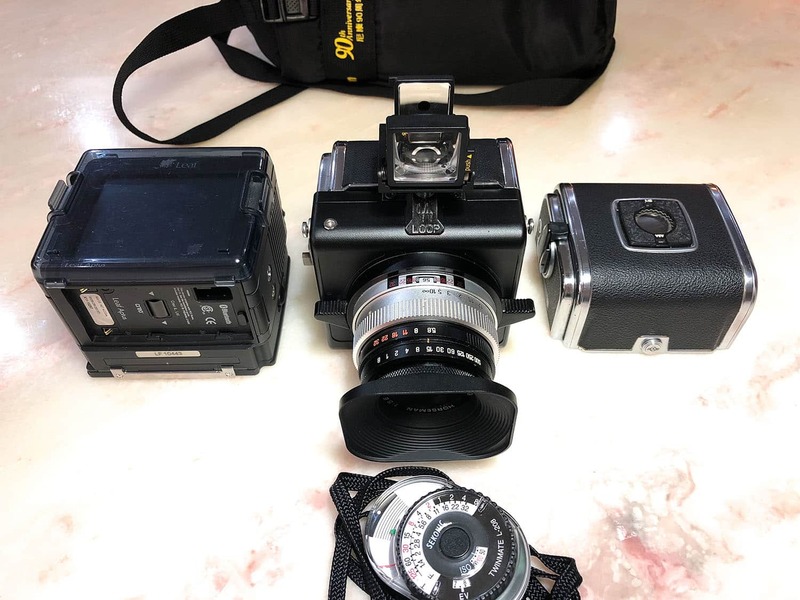 I’m also a camera collector with something in the neighborhood of 200 cameras, from the earliest days of Kodak to the humble beginnings of digital. I collect working usable models only. Among the major projects I’m tackling in 2016, I’m taking place in the Emulsive “Half baked half frame” project, & I’m working my way through my whole collection, trying to shoot a roll through every camera by 2017. Alright, I’ve rattled on enough, on to the gear! 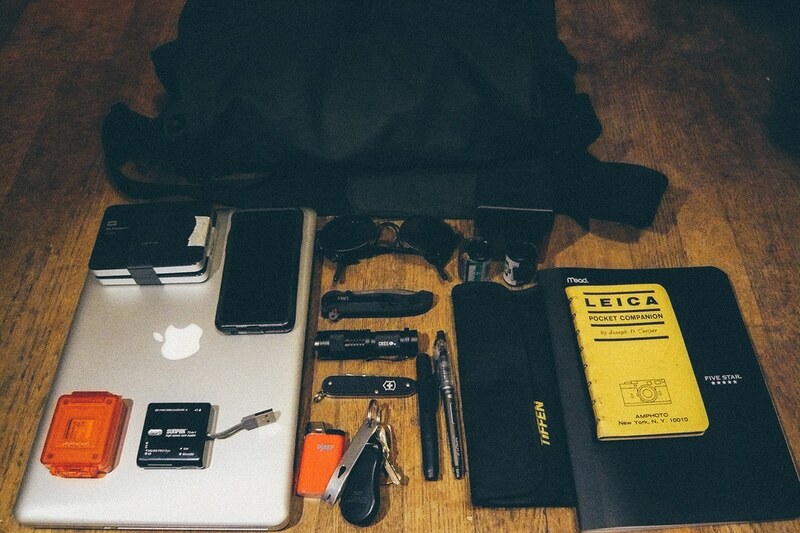 Bag: Filson Harvey Mesg Bag. Note: This bag got some bad reviews, but the thing to understand with this bag is it’s all about simplicity & versatility. It’s tough, light, & doesn’t stand out, while looking better then just about anything else out there. Best of all it doesn’t look like a camera bag! The patch is the Tap & Dye Legacy patch. So that’s it! I experiment with weird glass, filters & odd inventions a lot, so odds & ends change. 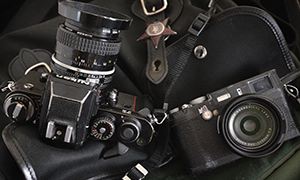 I rotate film cameras around as well, but the X-Pan is my new must carry. Thanks for checking out my bag, hope you enjoyed, & thanks Bellamy! Thanks for sharing your bag with us, Jef. What a cool bag, I really dig it. I love the patch too. Thanks for sharing. That’s an amazing bag and I think I will “copy” some of the elements for mine too :) Specially the book “Leica Pocket Companion” and the patch with ” Legacy Shooters – Every Shoot Counts”. Hey Hecor! 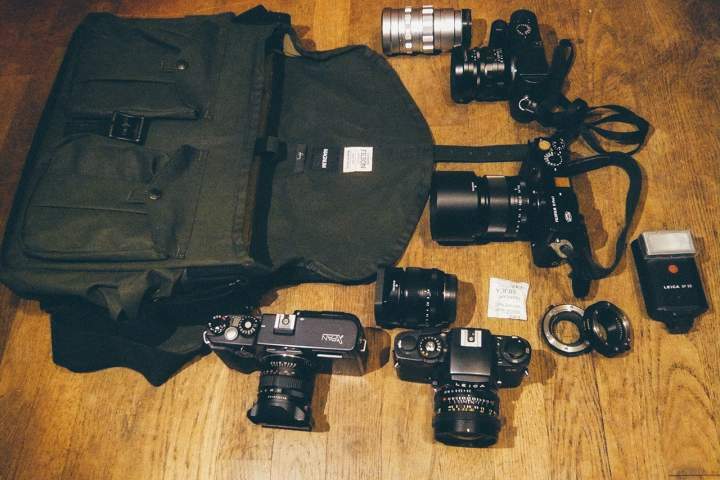 Haha I’ve copied enough elements of my bag from others, like the whole 1-2 formula and not having 3+ cameras to work with plus lenses. Weight is also an issue. I like the X-Pro a lot as well man! 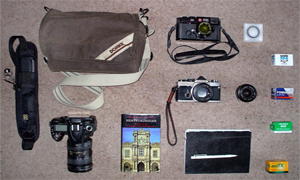 Even with an M in the bag it still has its place, Leica has some great guides, manuals etc l. Most can be found somewhat cheaply. This is just a newer one someone gave me and is a really handy and well done one. Thanks! Love bags, cameras and gear and it’s great to be a part of JCH myself after reading these and following for some time.glad you enjoyed. And again, thanks for the feature Bellamy! Like your bag. 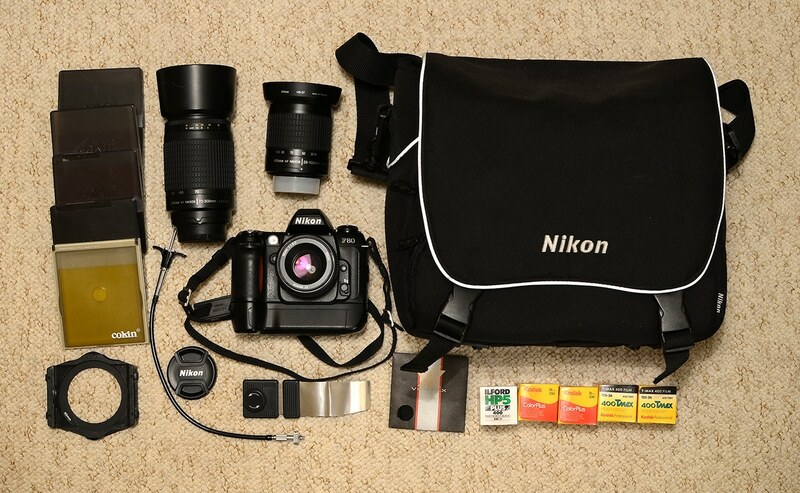 Got a photo nerd question: how do you like the 50 1.1 Nokton? Do you use it as a everyday lens, or reserve it for available darkness shots? It intrigues me. Like the crumpled bus on your website. Looks like a place where a photographer might live. Oh, and the owl. Michael: The Fuji ones work! Haha I tried 3-4 after markets and all for loose of too tight, none made AF contact quite properly & the all cause some interruption in the camera to lens communication. The Fuji ones are about $100 each. Most people only need one, and they work, they’re snappy, better made (though I still but like the release being plastic) and best of all they present no AF issues. McDonald: Hey thanks so much!! That owl (the grumpy one) is only a few feet away from me! And I love that bus as well. Dan: I like the Nokton. It has a very strange draw to it I wasn’t expecting (in a good way) and can be hard to nail the focus on, it’s heavy, large, and takes up more of your finder… But… I haven’t seen anything like it, I’m working up a review and thoughts for the blog. Should have it together soon. I bought it for low light. But then I shot it during the day and it’s such a cool draw, and so nice to use that I ca. See it becoming something I use more. Until I got my 35 it was a daily. I can see it being a daily again. But it’s big.